You can purchase any of our messages on CD from the church Gift Shop or by emailing your request to us at triumphchristian@yahoo.com. Single CD's are $5.00 each. Sets containing multiple CD's are priced according to the number of discs contained per set. 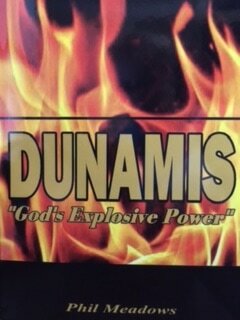 Purchase Pastor Phil's book, "Dunamis, God's Explosive Power"now! Buy the Combo & Save!